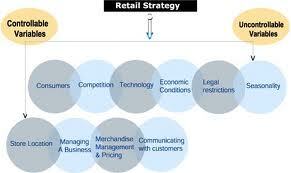 Vital objective of this article is to discuss retailing strategy of business world. Retailing Strategy can be a marketing plan that details how a business intends to supply its products to consumers and also influence their purchases. For example, a typical store strategy might illustrate how best to place and present a company’s products in retail outlets and how to get optimal consumer awareness at those locations with specific things like price discounts, location, retailer incentives and also signs. Business strategies are very important if you want to experience improvement. It suggests you’ll want to use different methods to attract and tempt your prospect buyers. It could take form or item commercials or packaging of this products.